The Kubota SD2000M is the heavy-duty version of the SD1000M. 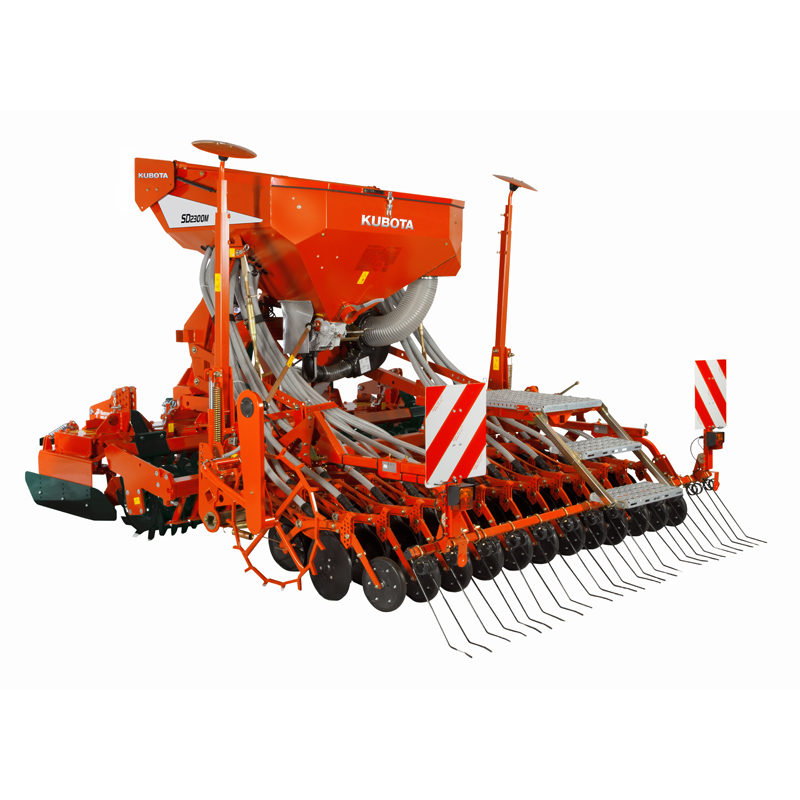 Available in working widths of 3.0, 3.5 and 4.0m, it is a high-performance machine for larger farms and estates. 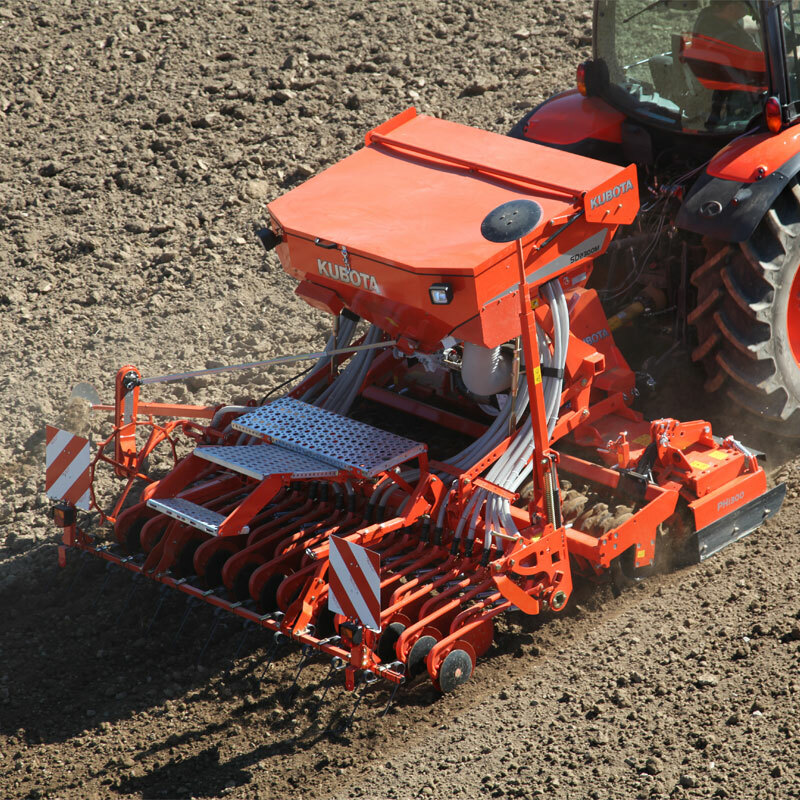 Thanks to the universal coupling triangle, the SD2000M can be mounted on existing Kubota power harrows as well as on other soil preparation tools. A hydraulic coulter bar lifting is available optionally. The mechanical coulter pressure adjustment is standard equipment, whilst the hydraulic version is optional.